Kishor Bharati 5 July 2016 download ebook pdf file. All my dear little friends are welcome in my post, today I have for you an wonderful Bangla magazine Kishor Bharati on July 5, 2016 edition. This monthly magazine published from Kolkata by Patrabharati. 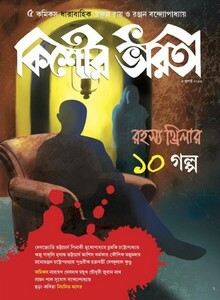 This issue's inner contents are- Ten mysterious Thriller stories, five serial comics by Prafulla Roy and Ranjan Bandopadhyay, Nanta-Fante, sports etc.